Let’s dive right into chapter 4, woohoo! Yama is a sort of gatekeeper and judge of the hell realms, one who decides about which rebirth you get. This is uncomfortably close to the Abrahamic god-concept for me personally, and the only consolation I have is that Buddhist concepts of gods, hungry ghosts, hell-beings, etc. are not beyond nature like in those religions, but part of our universe. Now we’re getting to a juicy part, one of the most fertile subjects for Buddhists to talk about: the mind. We’ve seen some of this in part 1, where it was established that phenomena are mind-wrought. Since Buddhism often occupies itself with phenomena, here’s a whole chapter of the Dhammapada just about the mind. I’m using the Buddharakkhita translation this time, but just because Thanissaro’s is a bit hard to copy/paste from. Do read both versions if you’re interested, there is a link to Thanissaro’s on the page at Access to Insight. A very fast Pali dictionary. At some point in your studies you will develop a sort of suspicion of which Pali words translators meant when you read certain English words (“mind” and “heart” both pointing to mana is one example, but mana can also mean consciousness, so which one is it? ).I find it sometimes helps to have multiple definitions of a word and reverse-engineering things from the original Pali can be enlightening. But don’t think that you have to do this to understand. Native English-speaking authors and teachers can drive those Pali points home just as well in English, even if English is lacking a lot of spiritual vocabulary. Digital Dictionaries of South Asia Pali Dictionary. Treasury of Truth’s Illustrated Dhammapada. Next to being beautifully illustrated, it often gave me more concise explanations of the verses to work from than I could have found myself so easily. After my failed Qu’ran reading experiment I was asked whether I might want to do the same for Buddhist texts (which I know a little better). 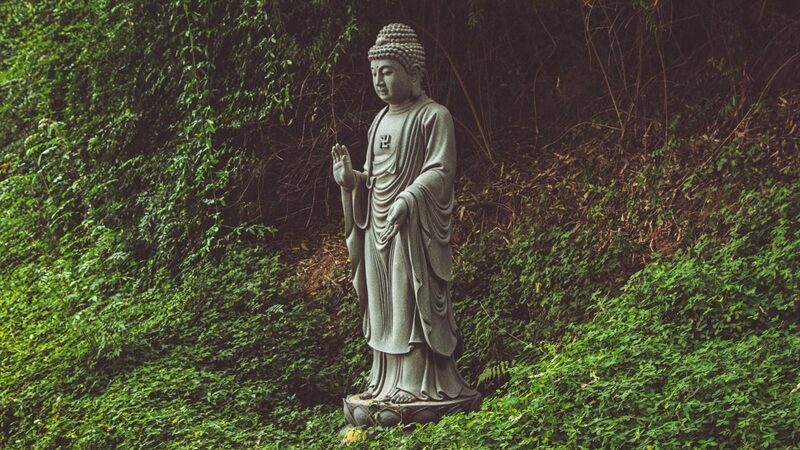 At first I wasn’t sure and referred people to Dr. Walpola Rahula’s “What the Buddha taught” and some of my favorite teachers like Ajahn Chah, Ajahn Amaro, Thich Nhat Hanh and Brad Warner. But then it struck me that it’s been more than ten years since I’ve last read the Dhammapada, one of the more easily understood canonical texts that is a good introduction for laypeople. So, do you want to read it with me? It’s only 70-something pages of very large and sparse text.